ST. 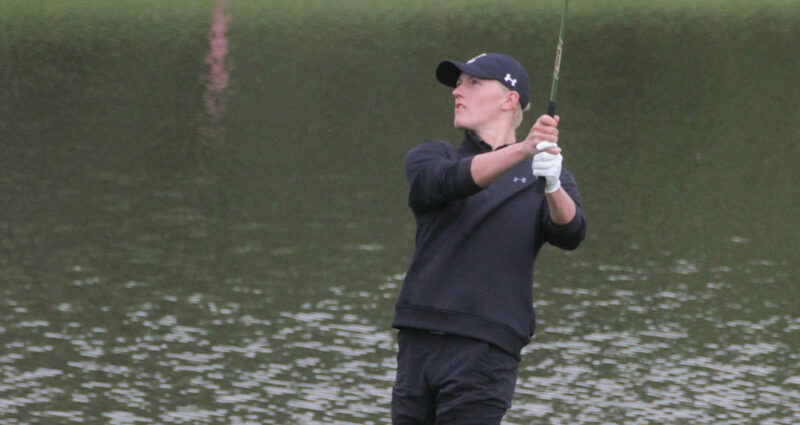 CLOUD, Minn. – The Gustavus men’s golf team took fourth place out of 10 teams Monday at the Saint John’s Spring Invitational. The Gusties finished with a 304-305-609, which was 14 strokes behind the winner, St. Thomas. Ben Hauge (So., Ramsey, Minn.) tied for eighth place to lead the Gusties, carding a 74-77-151. Joe Foley (So., East Gull Lake, Minn.) improved his second round score by four stokes to finish 78-74-152 to tie for 11th. Chris Captain (Sr., Rochester, Minn.) posted a 76-77-153 to tie for 16th. Alec Aunan (Sr., Rock Island, Ill.) was consistent in both rounds at 77-77-154 to tie for 19th, while Max Ullan (Fy., Blaine, Minn.) scored a 77-80-157 to tie for 26th. Gustavus wraps up the season this weekend, hosting two separate single-round invitationals. On Friday the Gusties host Bethel, Carleton, St. Olaf, and St. Thomas at the Le Sueur Country Club, and on Saturday they host Carleton, Concordia, St. Olaf, St. Thomas II, and UW-Eau Claire at the New Prague Golf Club.